Watch our video and learn how to spot scammers! Vacation rental scams are not new, but they have recently increased in our corner of the world. Last July, I received a frantic phone call from a traveler who arrived in Gulf Shores, suitcases in hand, and discovered that her family had been scammed out of their vacation rental. She called me because we have a very active Facebook community where we help connect travelers with vacation rental owners. I helped calm her down, and went through the scenario with her – yes, she had been scammed. It is very difficult to prosecute these scammers but I did encourage her to contact her bank and to file a police report. Fortunately, we were also able to help arrange a legitimate condo for her and her family to stay in. It breaks my heart to hear such stories – and they are becoming all too frequent. We issue many warnings and reminders in our groups about scammers, but this phone call spurred me to action. I wanted to pull together what we have learned about scammers and make a video that you can share to educate travelers. The bottom line is that no matter how careful you are, there is no way to prevent scammers from contacting you on Facebook or Craigslist. The best line of defense is to learn when to be suspicious and always choose a payment option that provides fraud protection. We cover all of these topics and even share real life examples from recent scams in our video. Please take a few moments to learn how to spot a scammer and how to protect yourself – and please share with your friends and family. 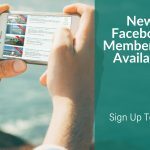 If you are the administrator of a Facebook page for connecting travelers with vacation rentals, we invite you to join our Scammer Busters group on Facebook. We use this group to notify other admins when scammers have been reported. Our goal is to reach as many groups as quickly as possible to spread the word. The examples used in this video were reported to the Scammer Busters group. Travelers may also contact any member of the Scammer Busters group to ask whether someone has been reported or if you are not sure you are being scammed. Are there a LOT of vacation rental groups scattered geographically? Are they in mostly buy/sell groups? 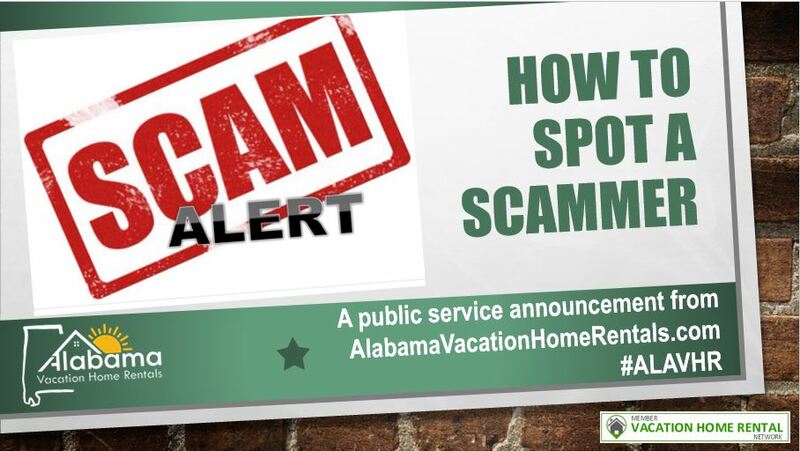 At Alabama Vacation Home Rentals, we are dedicated to stopping scammers. We verify every owner that lists on our site and never charge booking fees or site commissions. We are a proud member of the VHRNetwork – a regional network of listing sites, like ours, that provide a safe way for you save money. 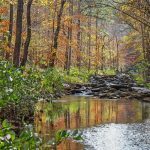 Visit VHRNetwork.com to find the region for your next vacation.